Kim Jaejoong’s guest invite-broadcast starts at 7 PM! so true, they are alike! I like the casualness of their friendship and the sense of humor they both have…beautiful people, i hope they could do a duet again. Agree, love the friendship of the two beautiful people, and I believe the friendship is beyond being labelmates. Totally agree with you. I hope they can become lovers though it might be hard and just a dream of mine. 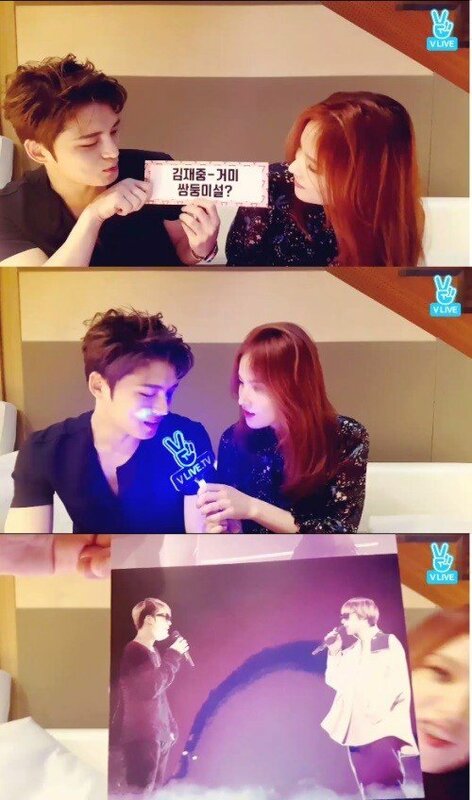 I remember Jaejoong said that he doesn’t mind having relationship with noona. Hehehe…..